Zada O. (Oberholtz) Vogel, 89, of Kansas City, KS passsed away at home March 29, 2019. Zada was a graduate of Shawnee Mission High School (1947) and had an Associate Degree from KCKCC(1994). She was preceded in death by her parents Earle and Flora (Shelley) Oberholtz and former husband John C. Vogel (father of the children). She is survived by her beloved sisters, Earlene Cox of Princeton, NJ, Marybeth Freeman of Deepwater, Mo, and Julie (Jerry) Henderson of Buena Vista, CO, her five children and their spouses, Jonne (Al) Warner of Erie, PA, Jamis (Christopher) Moore of Newark, OH, Oscar (Tracy) Vogel of KCKs, Janet (Don) Reed of Overland Park, Ks, and Chip (Dixie) Vogel of Eudora, KS. Also survived by her 14 grandchildren Emily Dobry, Kathryn Brightbill, Arrow Vogel, Devan Moore, Conner Moore, Amber Vogel, Alex Vogel, Bailey Vogel, Season Ferrell, Trey Kline, Joe Kline, Rainne Reed, Michael Reed, and Conlin Thompson, and 14 great grandchildren and much loved extended family. She was a member of the First Church of Christ, Scientist in Merriam, KS, as well as a life long member of The First Church of Christ Scientist, Boston MA. Zada had retired from the Boilermakers-Blacksmith, Kansas City Kansas Community College (11 years as Secretary), and she was a licensed Real Estate Agent for many years. 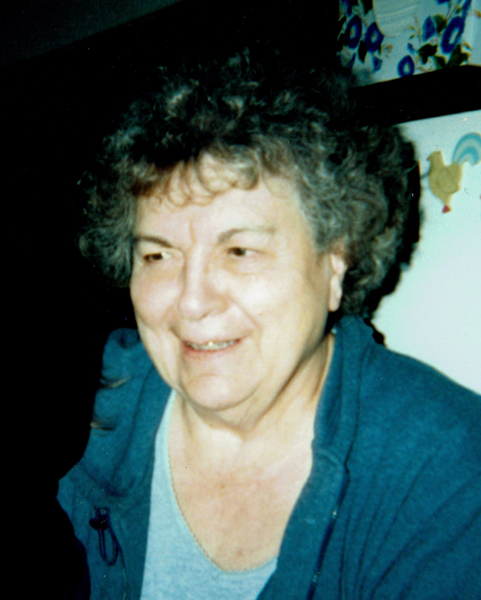 She most enjoyed spending time with her family, reading, and crossword puzzles. Zada was a avid painter and has had many of her works displayed with the Wyandotte Art Association, of which she was President. She had a very unique sense of humor that she passed to her children.